The following description narrates the salient features of the Akalis, including their contribution to the Anglo-Sikh wars. Many modern historians forget to mention, the heavy losses undertaken by the Akali Nihangs. The author writing in 1869 describes the attire of the Khalsa and states the main body of the Akalis can be found at Hazur Sahib, where they were still defiant to British rule. I have added footnotes to the description to clarify parts of the writing. THE Akalees form one of the five great divisions of religions mendicants among the Sikhs ; though they can hardly be considered mendicants in a strictly religious sense, being rather fanatical soldiers, who have become a class, than devotees like the Oodassees, Nanuk Shahees, and others, who affect a strictly religious life accompanied by severe ascetic penances. As represented in the Photograph,( Fig 1) the Akalee is always armed to the teeth. His high conical turban, like the rest of his dress of a blue colour, is encircled by rings of sharp steel quoits, in the use of which he is very skilful. (1) The rest of his arms are a sword and shield, a steel bow of the ancient Parthian pattern, with a brace of horse pistols, or a collection of daggers in his waistband. In this equipment the Akalee is a truly grim and formidable looking person ; and in most of the fraternity there is a peculiar wildness of expression, partly owing to fanatical spirit, and partly to the habitual use of intoxicating drugs. In the former Sikh army Akalees were a prominent feature. The Akalees are followers of the tenth Gooroo, Govind, under whom the Sikhs became a military fraternity and nation. They were his especial body guard, and, in the beginning of Sikh fanaticism, were the most devoted of the Gooroo's followers. It is the object of the sect to keep up the tradition of this exclusive character, both general and individual; and it must be allowed that the result hitherto has been sufficiently remarkable. Akalees may eat all animal food but beef. They cannot smoke, but they drink bhang; the intoxicating quality of •which produces a fierce excitement, ending in stupefaction. They do not many. Their chief religious exercise is telling their beads and repeating the word " Akhal," or eternal, from whence then sect take its name ; the greater number of repetitions the greater the supposed merit. (4)The sect of Akalees is not so numerous as it used to be, and will probably gradually die out. From the native armies of the Punjab it received many additions in men too desperate and lawless to submit even to the lax discipline of the Sikh forces, and in the turbulent masses which composed them they often proved a dangerous and uncontrollable element. 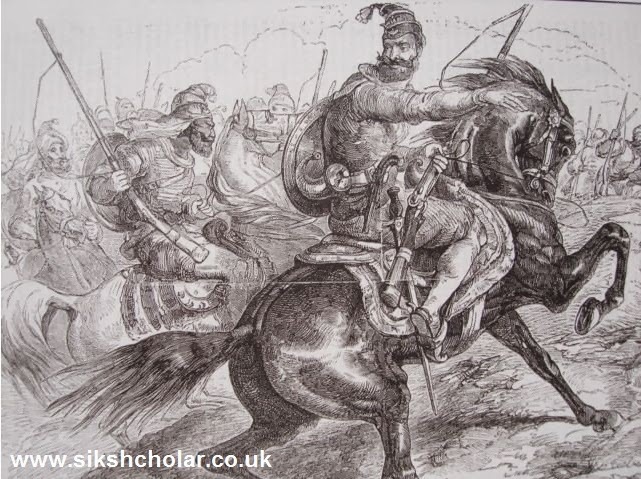 The power of the Akalees culminated after the death of Runjeet Singh, and on the bloody fields of Feroze Sherer and Soobraon the warlike fury, as it were, of the sect was spent and broken, most likely for ever. In its religious element, however, it is still strong. Runjeet Singh was the only mind which could hold this spirit in check, and the respect of the Akalees for him was rarely violated during his long and eventful reign. It was after his death that the Akalee council became uncontrollable ; the result of which was a wild desire for the conquest of India, which led to the Sikh advance into British territory, and by a series of events to the annexation of the Punjab to British India. (1) A reference to the Dasatar Boonga of the Akalis. This was a common description of the Akalis in the eighteenth and nineteenth century. (2) The Akalis after the Anglo-Sikh wars decided to stay away from many populated centres as they were still seen as a threat. Those that congregated at Sri Akal Takht were viewed with suspicion. 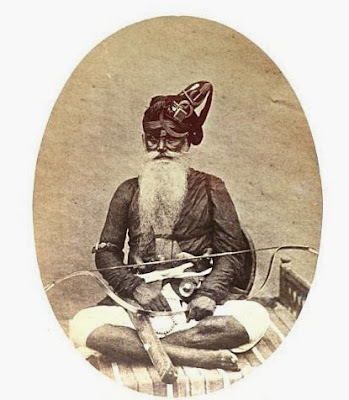 (3) After the Akalis were hunted down many went to the Deccan to preserve their maryada, this step was taken by the Akali Jathedar Prehlada Singh. (4) The word Akal appears frequently throughout Sri Dasam Granth and Sri Sarabloh Granth. (5) The courage of the Akalis is noted in the Anglo Sikh wars. The first war (1845-1846) took place in places like Mudki, Ferozeshah and Sobraon. It was during the battle of Sobraon that Sham Singh Attariwala became Shaheed and and where Akali Baba Hanuman Singh was wounded. He was pursued by the British to Patiala, where many Akalis were killed. It was at Sohana, where the Hanuman Singh became Shaheed. 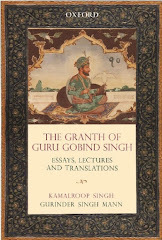 The Akalis role at Gurdwaras and the Sri Akal Takht is also noted by the author. (6) The reference to books is to both Scriptures Guru Granth Sahib and Sri Dasam Granth Sahib. by Meadows Taylor,Edited by J watson and John Kaye, Great Britain. India Office, 1869. The author is presently writing books on the Akali Nihangs including Akali Phula Singh and also the relationship between the British and the Sikhs. Please update on your publications published .